The new year sees the return of Best Actresses Zhou Xuan (周迅) and Tang Wei (湯唯) to television screens as they star in upcoming palace dramas Ruyi’s Royal Love in the Palace <如懿傳> and Empress of the Ming <大明皇妃孫若微傳> respectively. 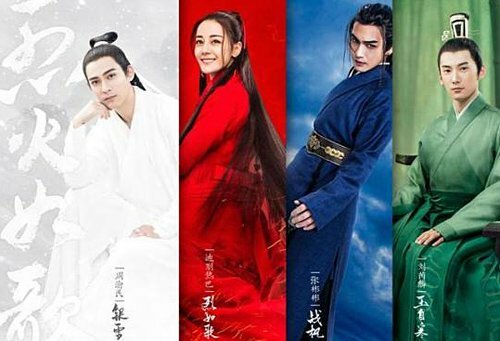 Other Mainland Chinese dramas that are also eagerly anticipated by fans include The Legend of Ba Qing <巴清傳>, The Flame’s Daughter <烈火如歌>, and Legend of Fu Yao <扶搖>. 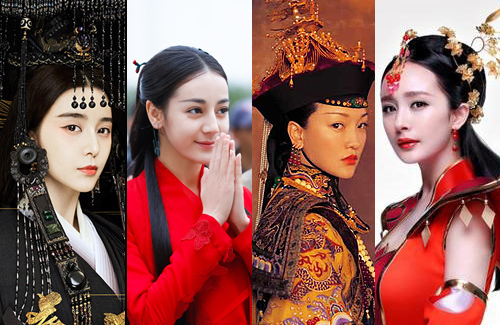 Fan Bingbing (范冰冰) will star inThe Legend of Ba Qing as the weak young lady who will progress to become one of the most influential people in the beginning of the Qing dynasty. Filming with a budget of 500 million RMB, the series will also feature production crew that worked on the hit Empress of China <武媚娘傳奇>. Adapted from a popular novel, The Flame’s Daughter stars Dilreba Dilmurat (迪麗熱巴) and Vic Zhou (周渝民) in a heart-wrenching love story filled with drama and action. 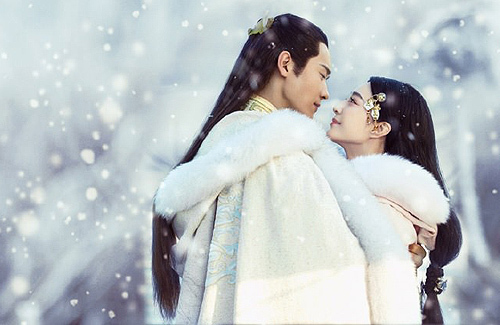 After the mass success of Eternal Love <三生三世十里桃花> last year, Yang Mi (楊冪) returns in another costume series, Legend of Fu Yao. With the help of Ethan Juan (阮經天), Yang Mi will ascend to the throne in becoming Empress Fu Yao. Legend of the Ming stars Tang Wei (湯唯) as Xuan Ruo Wei, whose love with the emperor lasted for five decades. Based on the novel, Liu Qiao Ji Shi (六朝紀事), the drama also stars Zhu Yawen (朱亞文) and Korean band EXO member, Lay Zhang Yixing (張藝興). Fan Bingbing’s drama has been shelved for inaccuracies. It takes place in the QIN Dynasty, not QING. What kind of inaccuracies? Can you give me the link to the original report? Problem with fan Bing Bing is ir always ends up as her show and fashion show. And she is not an interesting actress so in the end the series will end up boring. Of all in the list most interested with tang wei series. So cdrama is now no more time travel but now ordinary or not so ordinary women becoming empress etc. I actually want to watch the ancient drama with Ady An and Andy Zhang Dan Feng about the three Dugu sisters who are prophecised to be Empress. I am still have not gotten over DFYQ from TFOJ. I don’t like Fan Bing Bing produced dramas since she seems to want to write in a lot of unnecessary scenes for herself and the series ends up being draggy. Visually, the series is beautiful but not sure it it grabs my interest. The Dugu sisters series you mentioned. Is it about Empress Dugu of the Sui Dynasty? That will be interesting. She quite a controversial figure. Some party blamed her for the end of Sui Dynasty, but, some historical record also showed her to be a fair and just person. @kidd Hey. Yes it is but I assume it will be a whitewashed version. Wont count on it being historically accurate. The story is about the three sisters of the Dugu family who each have the potential to fulfil the prophecy that the descendant of the Dugu family will rule the world, as they are linked with Yuwen family of the Zhou dynasty, Li Yuan and Yang Jian. I haven’t seen Ady in a scheming role before so I want to watch. I think Joe Chen and Chen Xiao also have a series abotu Empress Dugu coming up. I just read the news about the shelving of FBB series. FBB series initially pass all the inspection from the chinese Broadcasting Board and got the greenlight to air the series. But, after 2 scholars well-versed in Qin Dynasty history saw the trailer of the series, they wrote a 7 thousand words complaint letter to the Broadcasting Board claiming that the series distorted history and the costume looks a lot like Japanese costume. So, the chinese Broadcasting Board pull back the series. The chinese Broadcasting Board doesn’t see to have a consistent standard to follow. ‘Sound of the Desert’ was held back because of historical in inaccuracies, its sequel ‘Love Yunge from the Desert’, have equal amount of inaccuracies, but the board let it past. The Broadcasting board initially found no problem with ‘The Legend of Ba Qing’. But after someone wrote a lengthy complaint letter on the series, the board change their mind. How can the board be so fickle in their decision making? This is not the first time Chinese Broadcasting board are swayed by one or 2 complaint letters. So, if someone want to sabotage the broadcast of a series, they can just write a complaint letter giving some made up reason. No wonder so many company now choose to produce web TV instead. Lastly, applying historical accuracy rule on works of fiction is nonsensical. They are not documentaries. They are work of art for entertainment purposes. @kidd ok, the injustice and fickle decisions aside, I’m glad her series is shelved! I actually dread her dramas because like @funnlim echoed above, she’s so self-absorbed in all her productions. instead of making the drama for the sake of the story, it felt like it was a selfie-drama and all attention has to be focused on her and the pretty cinematography. Right on the dot! If the authorities want the historical dramas to be absolutely accurate, they should stick to documentaries. A drama is called a drama for entertainment sake. The authorities appear to be very fickle. Why don’t they set the guidelines clearly? FBB’s Empress drama was off air for a while because of low cut costumes. I thought that was a trivial reason. Sometimes they cut so much that a goo d drama may become a bad drama because it becomes disjointed. I think the authorities do not hesitate to use this rule for political and other reasons (eg. Ice Fantasy). The authorities are moving in to control the web TV too now that producers are moving towards web TV to get more freedom in content.